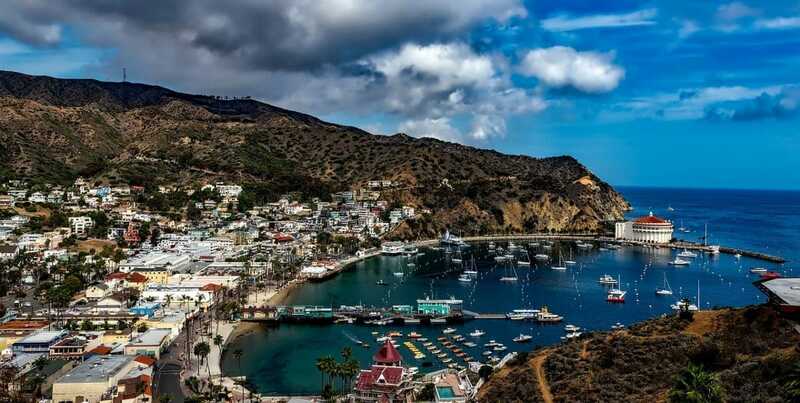 For a trip that gives you the feel of a far-off tropical island while remaining close to the United States shore, the Catalina Islands are a must! At just about 20 miles off the shore of Los Angeles, the Catalina Islands can be a perfect substitute for expensive flights to island destinations hundreds of miles from land without sacrificing the feel of a reclusive paradise. But what to do when you get there? 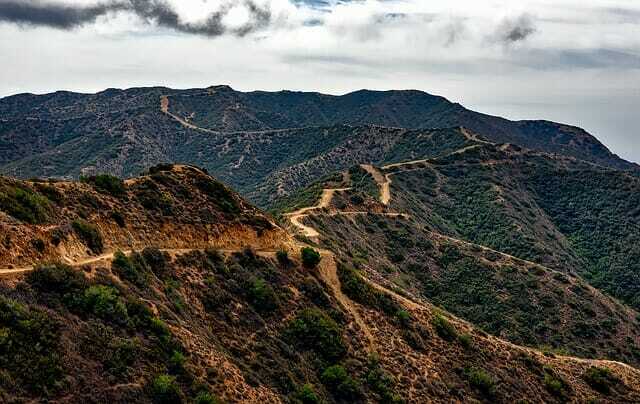 Here are ten great ideas for any school or graduation trip to the Catalina Islands! This gorgeous art-deco style theater is located inside the famous Catalina Casino – but don’t let that name fool you! The “Casino” has nothing to do with gambling, but rather kept that name to show how much entertainment goes on inside its walls, from theaters to museums to art and much more. Catch a matinee showing of your favorite flick on a rainy day. For a heart-pounding eagle’s eye view of the island, propel yourself down five ropes of 600-feet-above-sea-level heights for over 1,000 feet of wire! This is the locals' favorite way to see the entirety of the island, and if you’re brave enough to take on the heights, it could be yours too. To feel like a queen (or king! ), fill a day by relaxing on Descanso Beach at their “Club” – marking one of the few private-but-public beaches on the shore. Cabanas, chaise lounge chairs, and a luxury-minded staff will keep you feeling like a movie star all day long. To see where schools of dolphins live and play, hop on one of the island’s many dolphin tours that will take you right along the coast where these beautiful, intelligent animals can be seen! As with anyone who knows their own popularity, these playful animals love attention and will happily put on a show to all who’d like to watch. Where can you find wildlife as diverse as dolphins and buffalo living in the same environment? Only in Catalina! Take a nature tour through the “outback” to see foxes, buffalo, bats and owls by Jeep or other open terrain vehicles to experience a bit of the island you otherwise wouldn’t if you stuck to the shore. What island trip would be complete without a scuba or snorkeling adventure? The islands are filled with gorgeous, safe reefs for any age group to explore with a guided instructor, or if your group is feeling extra brave, you can dive a bit deeper with scuba gear and really explore all the hidden secrets of the deep that Catalina has to offer. Come across a rainy day in paradise? Need a break from the heat? Stroll down the streets of Crescent Avenue while popping into stores along the way for shelter and for incredible shopping you can only find on the Island! From local goods to quirky gift shops, you’ll definitely find a great souvenir. To get a world-class view of the island below, take a trip to the top of Mt. Ada, where just one 6-bedroom mansion hotel sits perched atop. Thankfully, you don’t have to stay a night at The Inn to glimpse the views! Want to experience the ocean below without diving too deep? Take a glass bottom boat ride across the coast to spot dolphins, whales, seahorses, and every other dazzling sea creature your mind can think of! Choose from a variety of different sized ships for the best experience for your group. Of course, Catalina offers a massive variety of watersports, from waterskiing and skim boarding to jet skis and parasailing! All you need to do is grab a friend (or a few! ), choose your ride of choice, and let the memories make themselves.